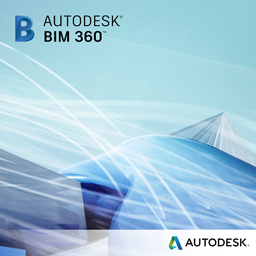 BIM 360 and Navisworks underlay in AutoCAD 2016! The new releases of AutoCAD take a big step forward in improving design quality and speeding up coordination. For many years the standard way of working with multiple stakeholders has been the humble xref, bringing someone else's file into your environment and designing around it. This allows you to avoid clashes by designing with the other trades and other user's files in context. This process tends to involve others providing their released working files via data management solutions on an occasional basis, normally at project milestones. With the AutoCAD 2016 release (including AutoCAD based products such as Civil 3D, CADmep, Advanced Steel and AutoCAD MEP), you'll be able to load a Navisworks NWD or NWC file as an xref, or alternatively a live BIM 360 Glue project! But what does that mean for you? Working with Navisworks and BIM 360 Glue allows you to work in a more organized process. We often see people working with xref's that can be weeks or even months out of date. This can lead to design work taking place in the same space where another trade has already done their work but only since the last released file. This leads to clashes further down the line where two trades have designed objects in the same place. When this needs to be rectified, perhaps weeks later, the designer will have to spend time familiarising themselves with the area again and why they made the decisions they did. By loading the weekly coordination model you minimize the risk of designing objects in the same physical location as someone else and therefore speed up the design process and the need to make changes, which saves the entire design team time and money. In AutoCAD 2016, you will also see improved performance, the Navisworks viewing engine, that was built from the ground up to optimize performance on large models. Now integrated into AutoCAD, you'll be able to view the referenced Navisworks/BIM 360 file as a separate process to the design files, speeding up performance of navigation and allowing AutoCAD to get on with what the product does best, design! So in a Navisworks environment, your VDC, BIM, design manager or coordinator can collect all the files together in a single place, save them as an NWD, and load as an xref to get on with designing. My personal favourite feature is the ability to set transparency on the file which means you can see where you are in relation to the surrounding design without it getting in the way. If you're using BIM 360 Glue, this can speed this work up even further. If your design teams are "gluing" their models on a daily basis or more frequently, then what are the chances of you accidentally designing and creating a clash? You also have the benefit of loading the pinpoint locations of any clashes speeding your resolution up even further. This is not Clash Detection, this is Clash Avoidance! As a rule of thumb yes they should be, as the model viewing is using a different core this should improve performance too as well as ensuring everyone is on the latest files. Are BIM 360 Glue models smaller in size than an AutoCAD 3D xref'd model? Thanks for the comment Orie. One of the advantages of Navisworks and BIM 360 Glue is that is loads in over 50 different file formats, including IFC, DGN's and manufacturing formats, meaning you can load in one single lightweight federated model into AutoCAD rather than multiple different files. This is typically part of a more organised coordination cycle meaning you should have more recent files loaded. This will work on all the AutoCAD verticals including Advanced Steel! I would really be nice to be able to view more than just NWD's in Autocad for coordination. IFC is another common format I have had many requests to view. If the Viewing engine has been integrated hopefully these other improvements aren't far behind. Will this work for Advance Steel also since it uses Autocad as a base?